The Bantam Tool is a light-weight, compact ratchet tool with built in cutter. 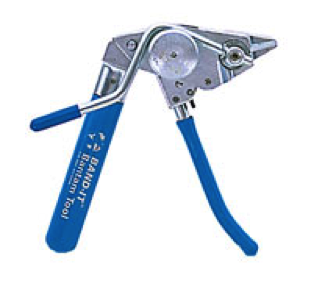 Bantam tools are used to apply BAND-IT® Band, BAND-FAST®, miscellaneous strapping, and general use bands. Hosexpress offers Bantam Tool replacement parts as well as the tool for your convenience.